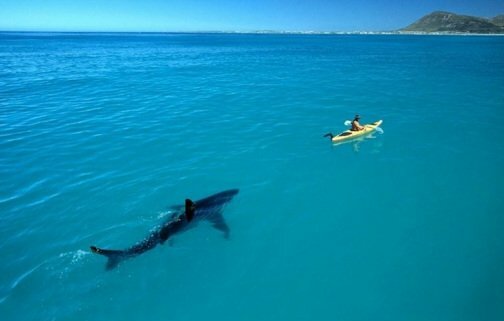 A shark following your kayak. Maybe. What motivates one person does nothing to motivate another. The human brain is such a mystery and much research has been done to better understand what motivates us. After all, we all want our version of success, drive and direction. Let’s break down what works and what doesn’t. If only it was that simple. There is no hard evidence that writing down your goals actually makes them come to life. Research shows that writing down your goals won’t hurt, but it won’t help either. Who ever said those words were great motivators? I suppose telling someone to do their best is encouraging but lacks specific direction. This lack of specificity gives free range for mediocrity and takes the pressure off in the event that you don’t reach your goal. Advocating to simply visualize success can mislead people to believe that success comes without effort which is unrealistic. Realistic optimists believe that success is a given and that they will make it happen through effort, planning, persistence and strategies. On the other hand, unrealistic optimists believe that success will magically happen to them. Research shows that goals that spell out exactly what needs to get done are more effective than a “just do it” attitude. Additionally, setting difficult goals that raise the bar result in far superior performance. It is believed that setting difficult goals cause us to unconsciously put more effort, focus, persistence and commitment to the goal. Specific and difficult goals even help us make better use of effective strategies. You can cultivate a more realistic, optimistic outlook by combining your confidence in your ability to succeed and being aware of the challenges before you. Visualize the steps you will need to take in order to make success happen instead of just visualizing success in general. Before you set out to lose twenty pounds, go back to school, change jobs or learn to cook, set yourself up for success and take a look at what motivates you. Come up with specific goals and discover the steps you need to take to make your success a reality. If there’s a will, there’s a way!